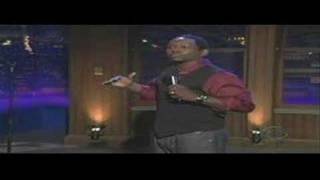 In the tradition of comedians who have made the transition from the stage to the screen, such as Richard Pryor and Bill Cosby, multi-talented Guy Torry has made the leap to comedic actor with great success. Guy has been seen on Russell Simmons’ Def Comedy Jam on HBO, as well as the feature films, Funny Money, opposite Chevy Chase, Penelope Ann Miller and Chris McDonald, The Last Stand, starring Anthony Anderson, Darrin Henson, Kevin Hart and written and directed by Russ Parr, Dead and Deader, opposite Dean Cain and Susan Ward, and the independent thriller Slow Burn, opposite Ray Liotta, Taye Diggs, LL Cool J and Mekhi Phifer. Guy has also appeared with Matt Damon, Greg Kinnear and Eva Mendes in the 20th Century Fox Film, Stuck on You and his many other feature film credits include Runaway Jury, Don’t Say A Word, Pearl Harbor, Life, The Animal and most notably American History X. The St. Louis native also received critical acclaim for his work on the small screen starring in the NBC mini-series The 70’s, the HBO television movie Introducing Dorothy Dandridge, and the UPN drama The Strip. He hosted BET’s sports talk show BALLERS, with four-time NBA World Champion John Salley and three-time NFL Pro Bowler Hugh Douglas.